The loss of an infant affects everyone in the family — mothers, fathers, siblings, and extended family members. Empty Arms recognizes that these family members are in need of support as well and offer a variety of infant loss family support groups. This support system is for mothers who have lost an infant, at any age or gestation. Structured as a “pen pal” system, we connect mothers who are looking for more personal bereavement support from those who truly understand the pain and grief of losing a baby. While every situation is unique, we work hard to ensure the connections we facilitate have similarities in their circumstances to help ensure the relationship of support is worthwhile for both mothers. The death of a baby, at any gestation or age, can be very lonely and an intensely emotional experience. This peer-led infant loss support group was developed to connect parents who understand the pain and grief of losing a baby due to miscarriage, stillbirth, or early neonatal loss. No matter the circumstances, or how much time has passed since your baby has died, their life should be honoured and celebrated, their story should be told, and your grief should be validated. No matter where you are your journey of grief, everyone is invited to share their story or simply join to find comfort in knowing you are not alone. This peer-support group is designed for families who find themselves expecting another baby or are parenting a new baby after the loss of an infant. This can be especially difficult because parents are not only dealing with the “regular” issues associated with pregnancy and new parenthood, but are also still navigating through their journey of grief. A new baby does not replace the one that is lost and often these parents may find themselves experiencing extra anxiety and fear. Meeting on the first Thursday of every month, at the Empty Arms Office, this group provides a space space for parents — both moms and dads —to connect, share, vent, and dicuss their unique issues that accompany pregnancy and/or parenting after child loss. Babies and toddlers are welcome. If you or someone you know would benefit from any of our free services, please don't hesitate to contact us. 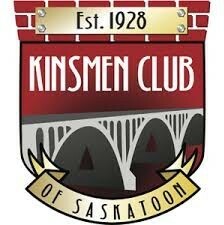 Thank you to our Presenting Sponsor Kinsmen Club of Saskatoon for all your support!